We are a leading Manufacturer of phytomenadione bp injection, gynaec medicine, gynec capsules and gynecology drugs from Ahmedabad, India. 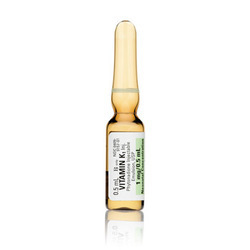 Adult: PO Vit K deficiency due to drugs or malabsorption 10-40 mg/day. Over-anticoagulation Up to 5 mg. IV Over-anticoagulation 0.5-5 mg.
We have an exclusive range of gynec tablets offering to our clients. The gynecology medicines cfer xt (ferrous ascorbate 100 mg+ folic acid 1.5 mg+ zinc 22.5 mg) tab offered by us, are widely demanded in the market as no alternative is available in terms of quality, hygiene and effectiveness. 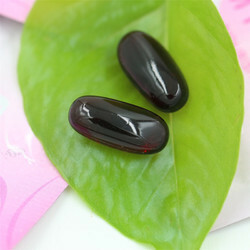 Our organization is offering Gynec Capsules to our clients. We are counted among the distinguished suppliers of a spectacular range ( DHA 100 mg + Methylcobalamin 750 mcg + Folic Acid 5 mg ) Gynovin Cap. This range is specially formulated by the expert professionals in order to cure at industry leading prices. Our company is recognized in this industry as one of the trusted manufacturers and suppliers of Gynecology Drugs. Delivered range of tablets is processed under controlled conditions and further stringently tested by our medical practitioners. In our wide range, some medicines like pharmaceutical products, pharmaceutical medicines, laboratory reagents, industrial salts and in-organic chemicals are included. 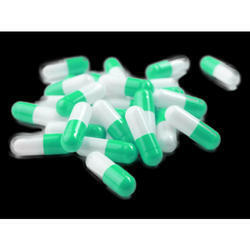 Our tablets are widely used to prevent the problems of gynae, dental and haemostats. In We provide our Gynecology Drugs at most affordable prices.